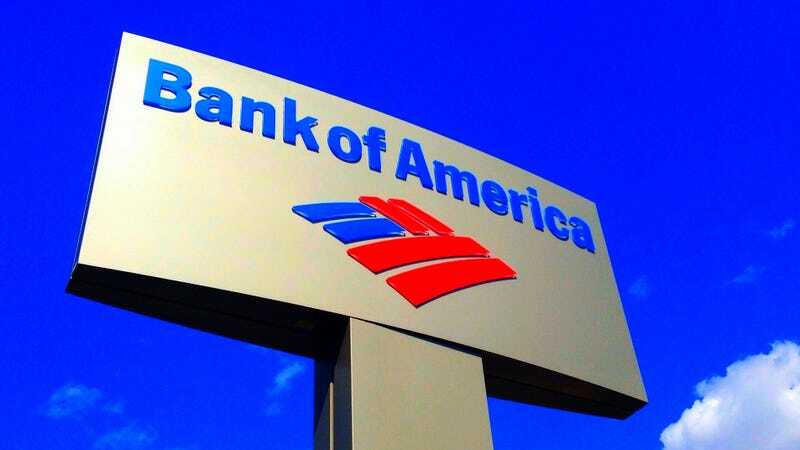 As we’ve covered before, cash back cards and travel rewards credit cards are very different beasts, but the Bank of America Premium Rewards credit card combines aspects of both. It probably wouldn’t be my first choice of card, but if you have Bank of America or Merrill Lynch accounts, it gets very attractive, very quickly. We’ll get straight to, uh, the point. Each point you earn with the Bank of America Premium Rewards card is worth $.01. There are no fancy redemption options here, you just apply your points as a statement credit at any time, effectively wiping purchases off your statement. If you have a linked Bank of America or Merrill Lynch account, you can also deposit the points there as cash. That’s pretty standard in cash back land, though you can get a lot more value from transferrable points from Chase or Amex. That said, out of the gate, you’ll earn two points per dollar spent on travel and dining, and 1.5 points on all other purchases. But if you have a Bank of America checking account, and enough combined assets in Bank of America, Merrill Edge, or Merrill Lynch investment accounts, your earning rates will improve. Note that the tiers below are based on a three month average of your assets. $20,000-$50,000 in assets: 2.5% on dining/travel, 1.875% on other purchases. $50,000-$100,000 in assets: 3% on dining/travel, 2.25% on other purchases. $100,000+ in assets: 3.5% on dining/travel, 2.625% on other purchases. If you spend $3,000 in your first 90 days after opening the card, you’ll get 50,000 points, which works out to <breaks out calculator> $500. That’s about as good as it gets on a mid-level card like this one. Unlike most cash back cards, the Premium Rewards card carries a $95 annual fee. However, each year, you’ll get a $100 credit for airline incidentals, inclusive of baggage fees, in-flight purchases, and seat upgrades, though not airfare. Assuming you use that credit, the annual fee is essentially wiped away. Every four years, you’ll also get a $100 credit towards the purchase of TSA Precheck or Global Entry. Again, this is a benefit that’s available with most travel rewards cards, but it’s nice to see it on what is essentially a cash back offering. The card is also notable for waiving foreign transaction fees, while also offering trip cancelation insurance, baggage insurance, and secondary rental car coverage. So should you get the Bank of America Premium Rewards Card? If you don’t have $20,000 in assets in eligible accounts, it’s a toss-up: Wells Fargo Propel American Express® Card offers a smaller 30,000 point welcome bonus (after $3,000 spent in the first three months), and doesn’t include an airline credit or other travel-friendly perks, but it also pays out triple points on several categories, and doesn’t carry an annual fee. The Capital One Venture Rewards Credit card offers a flat 2x points on every purchase, and massive returns from Hotels.com, but is otherwise broadly similar to Bank of America’s offering. Of course, there’s little stopping you from getting multiple cards to maximize every dollar you spend. If you do have enough money in the bank to unlock the higher earning rates though, yeah, the Premium Rewards card is one of, if not the best of its cohort. The points aren’t as valuable as Chase Ultimate Rewards Points, but with high bonus earning rates, dead-simple redemption options, and a generous welcome bonus, it’s a really solid offering. Gizmodo Media Commerce has partnered with The Points Guy Affiliate Network for our coverage of credit products. Gizmodo Media Group and The Points Guy may receive a commission from card issuers.